We knew it had to happen, for lack of a better word we are hemorrhaging money right now, but that's ok we knew it had to happen. All of our trades want paid and we would like to move in one of these days - but that doesn't mean we haven't saved ourselves a lot of money on our home renovation. Today I wanted to share with you our best tips for saving money on a home renovation that have worked for us. 1. Shop around - this is obvious but it takes a lot more work don't take the easy option and go with your first price! Investigate alternate products and brands, do you really need the top of the range stone in your kitchen or is there a comparable alternative? 2. Offer cash/ pay upfront - this goes for pretty much anything you purchase and services you use to get the job done. 3. Barter and call on friends - got a skill you can trade for with a mate? You never know unless you ask! 5.Ask for a better price! - Again it's obvious (I am completely terrible at it but getting better so the hubs is our negotiator) let your suppliers know if you have been quoted a better price and ask if they are prepared to do better to get your business - they worst they can say is no! 6. Alternative sources - Visit auction and salvage yards and trawl gumtree classified ads. If you know what you are looking for and what you want to pay this can be a great way to snap up a bargain. 7. Decide on where to splurge and when to skimp - Sometimes it can pay off to spend more for higher quality in some areas and cut back on others that don't have the same impact. For us that means stone benches and custom cabinetry in our kitchen and then cheaper flat pack diy cabinetry for our laundry. 8. DIY - I'm not talking highly skilled or dangerous stuff but a lot of money can be saved in doing things yourself e.g demolition, painting, paving/ landscaping even the project managing ourselves has come with significant savings. Change your mind about extra windows, bigger rooms and fancier light fittings. Go for the thicker stone bench tops and the fancier lift up overhead cupboards..
Can you tell I'm speaking from experience here? Ultimately our own renovation possibly would have cost the same if we were to have gone through a builder, however the savings we have made have meant much higher end finishing's than we would have otherwise used. If this had been a renovation for profit project or we had a tighter budget we would have certainly scaled back on those extras but they are nice to haves. Are you a DIY'er or a leave it to the pros kinda person? If you have any good advice on how to save money on your home renovations please share below! ** If you are planning to undertake a big scale home renovation as owner builders, I can't recommend enough engaging a building estimator to come up with a costings estimate of your project. 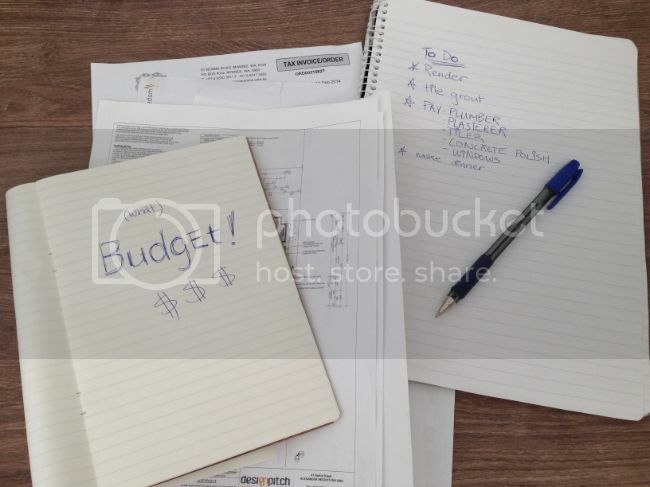 This is a great way to set a budget and get an idea of where to start!